As the President and Broker of Marbray & Co. Realty, LLC, Robyn oversees all aspects of project development from conception to completion. Her expertise includes sourcing and structuring new acquisitions and joint ventures. Robyn manages the capitalization, design, construction, and sale or leasing of each project. 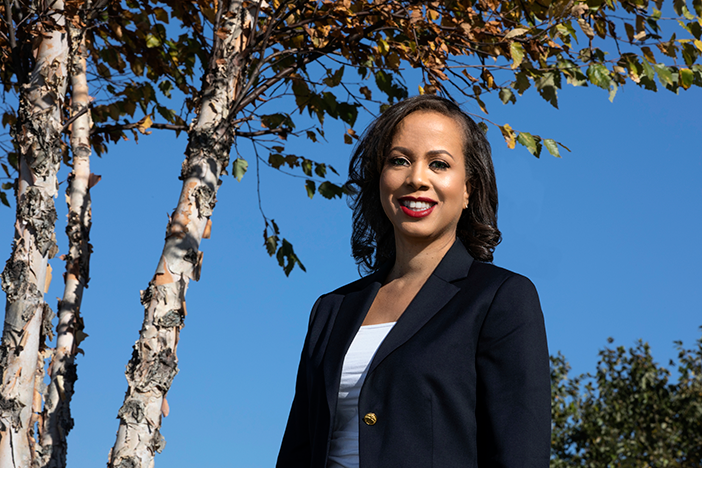 She has established successful partnerships to leverage private investment capital to acquire and renovate over 50 residential properties in Maryland and Washington, DC. Robyn possesses nearly two decades of experience in real estate with specialized knowledge in the use of federal, state, and local housing programs to develop affordable and mixed-income housing. While working for a state housing finance agency, she managed a portfolio of 36 affordable multifamily housing projects. Her responsibilities included assuring regulatory requirements and preservation of 2,600 rental housing units totaling more than $118 million in development and construction costs. During her tenure, Robyn also underwrote multifamily projects financed with a variety of sources including state-appropriated funds, taxable and tax-exempt bonds, federal low income housing tax credits, federal HOME funds, and FHA-insured loan programs. Robyn earned a Bachelor of Business Administration in Accounting from Howard University. She is a certified public accountant (CPA) licensed in Maryland, and a real estate broker licensed in Maryland and Washington, DC.